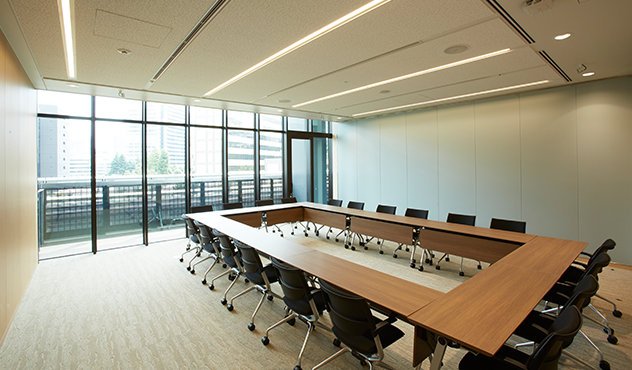 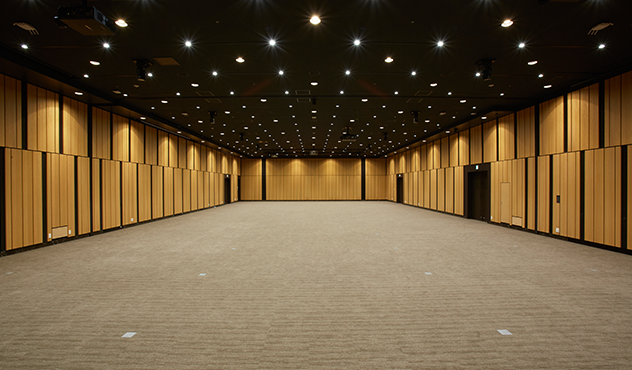 A utility hall that can be used as a sub-hall for “the AIR” (2/3). 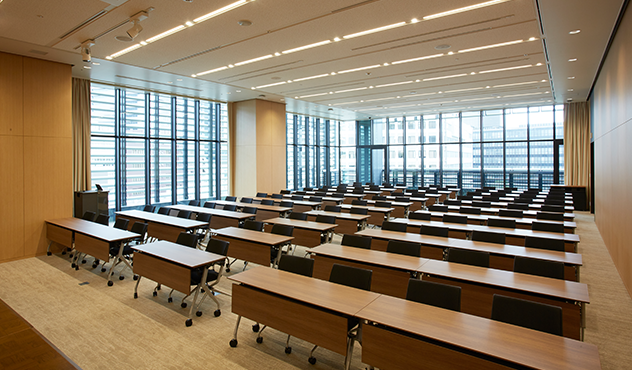 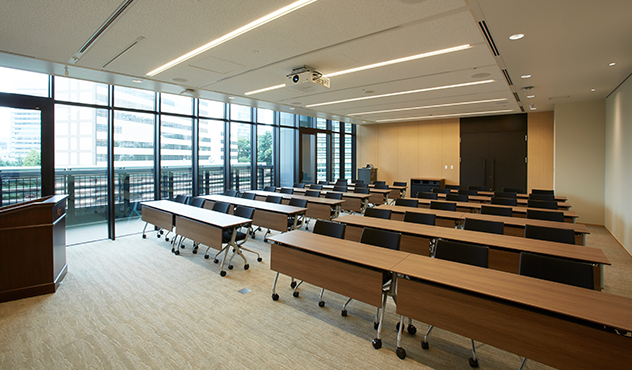 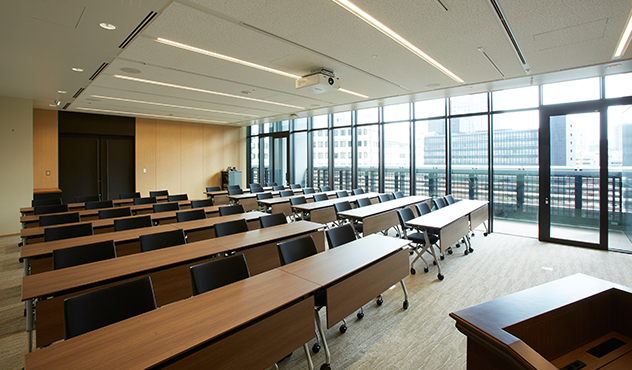 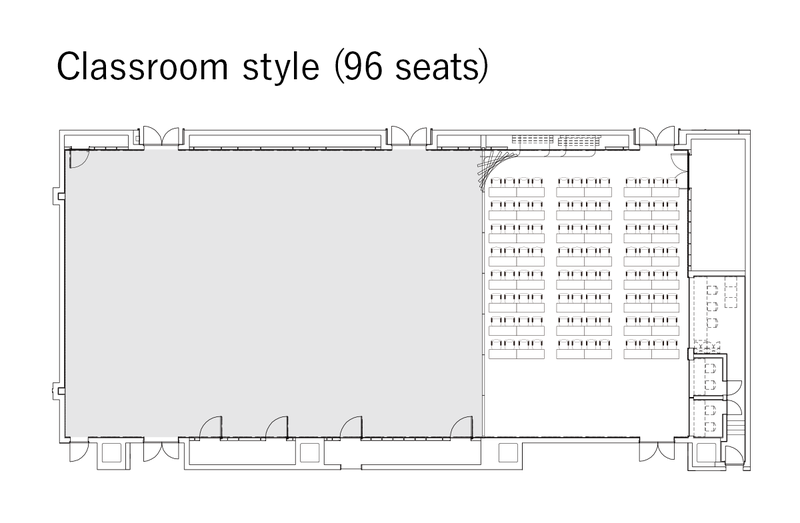 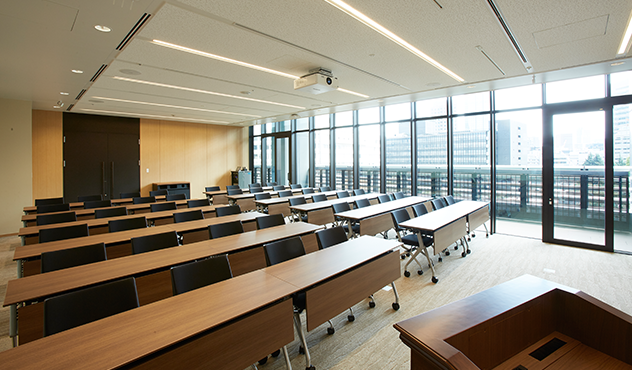 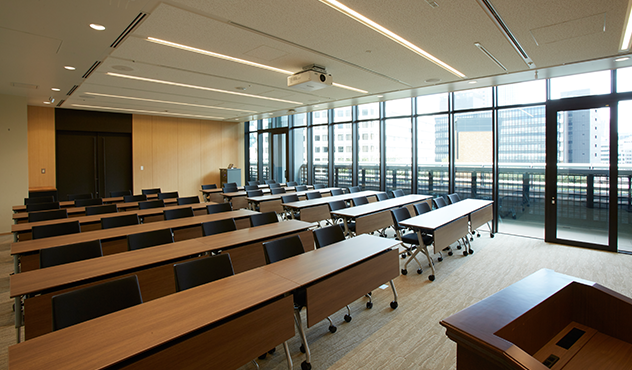 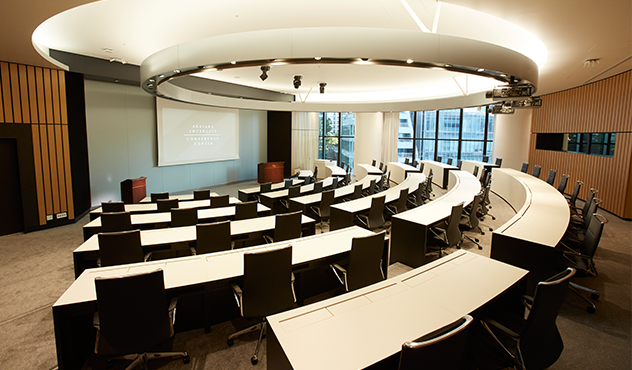 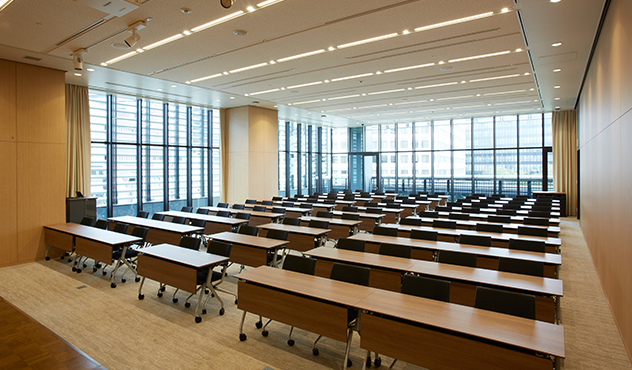 Perfect for 80-to-100-person seminars and lectures. 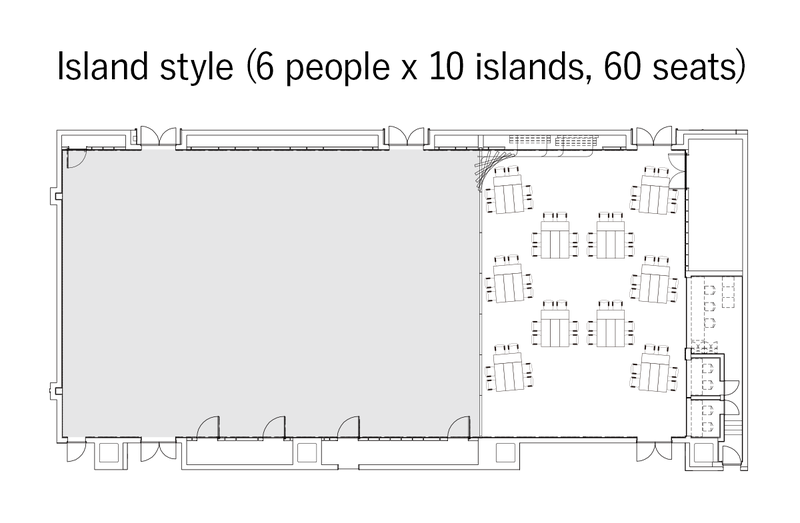 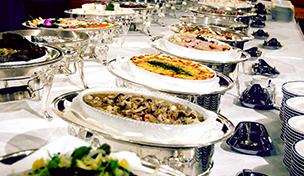 Can also be used for get-togethers and exhibitions. 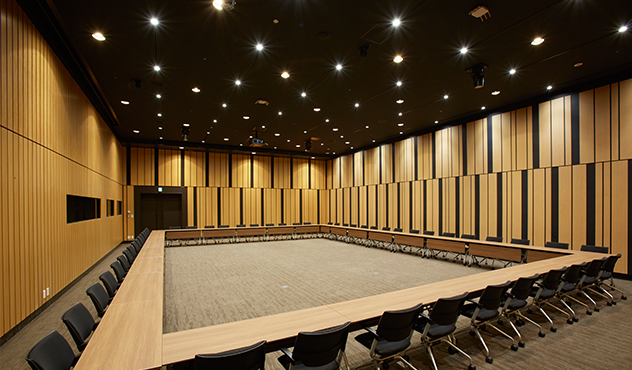 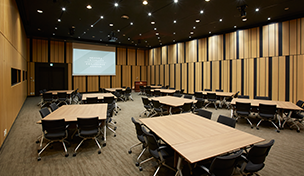 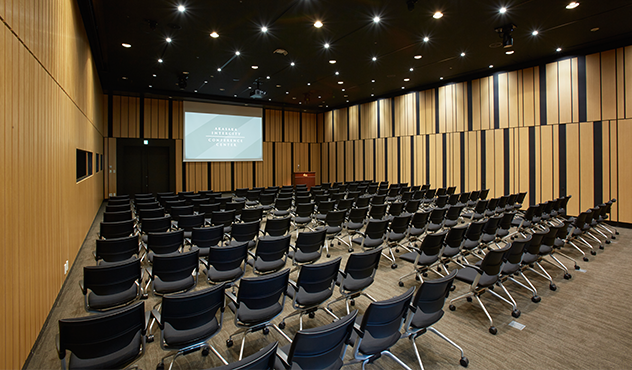 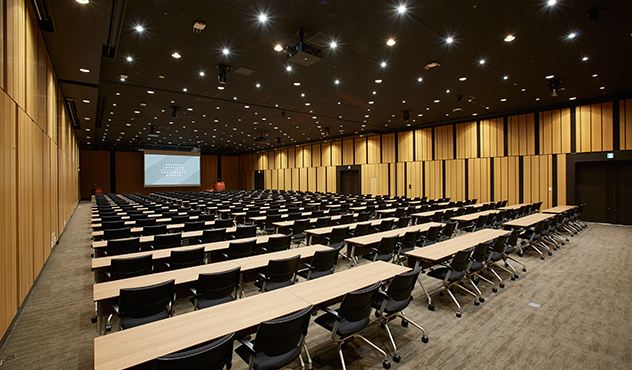 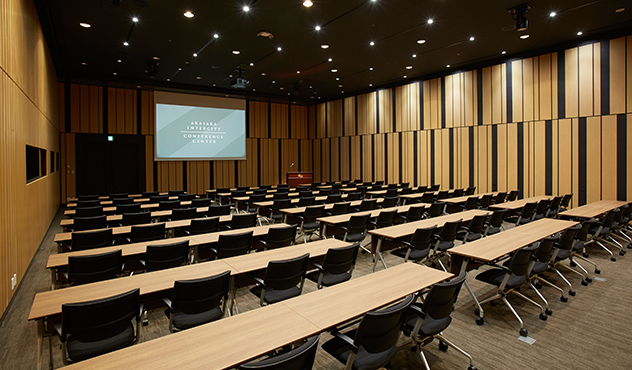 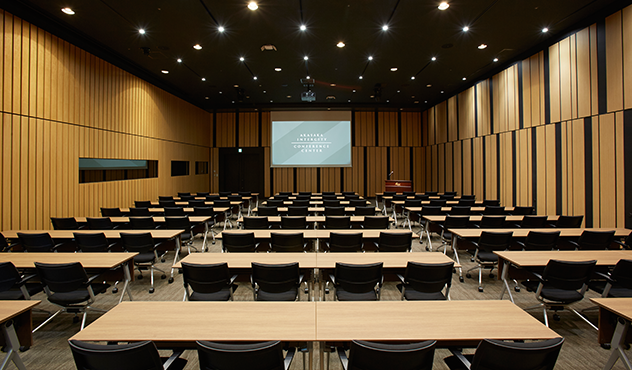 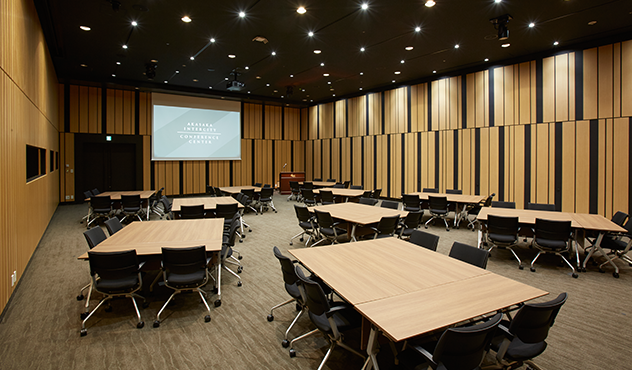 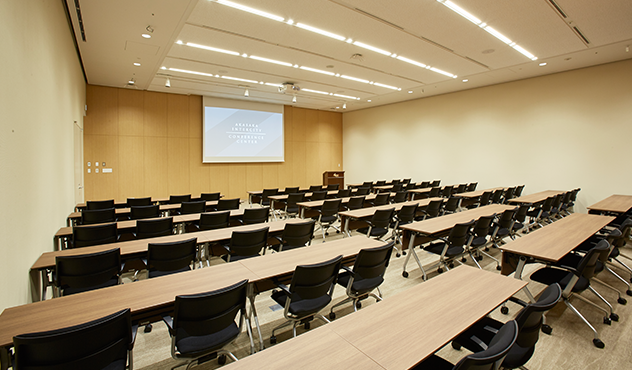 Featuring no pillars and a 4.8m-high ceiling, this spacious hall is equipped with not only a large screen and simultaneous translation booths but also a stage, lectern and mics, making it ideal for seminars or lectures for 80 to 100 participants. 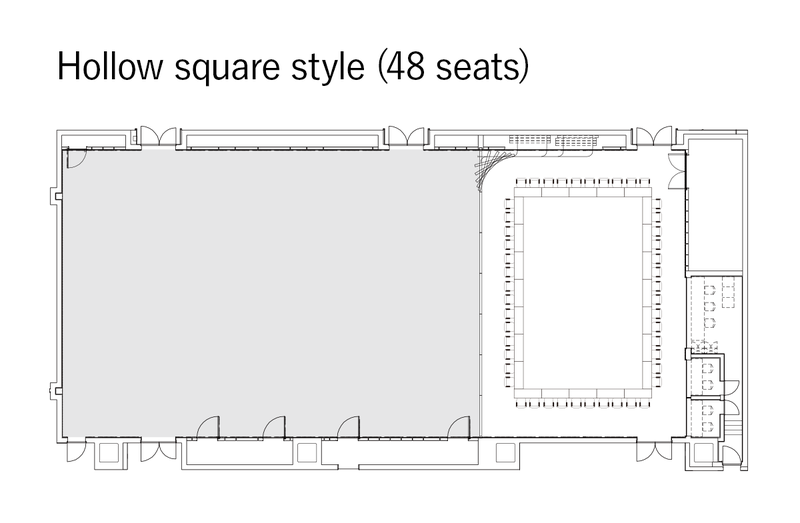 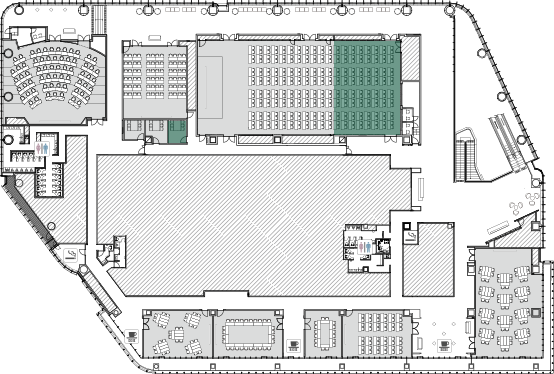 It can be used as a sub-hall for the adjacent “AIR” (2/3), as well as a space for get-togethers and exhibitions, provided with a dedicated waiting room. 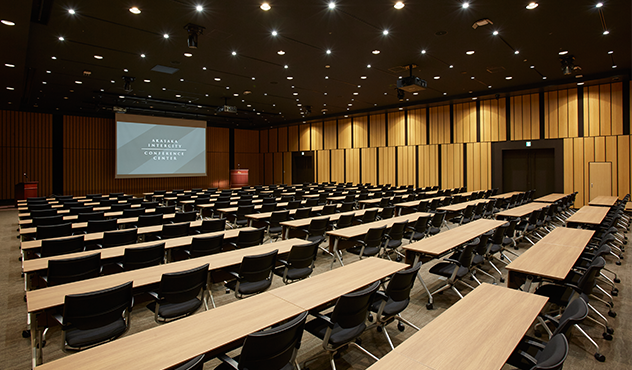 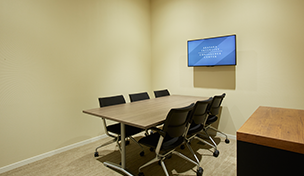 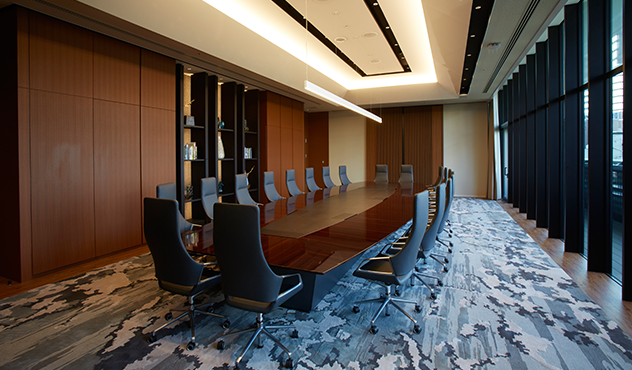 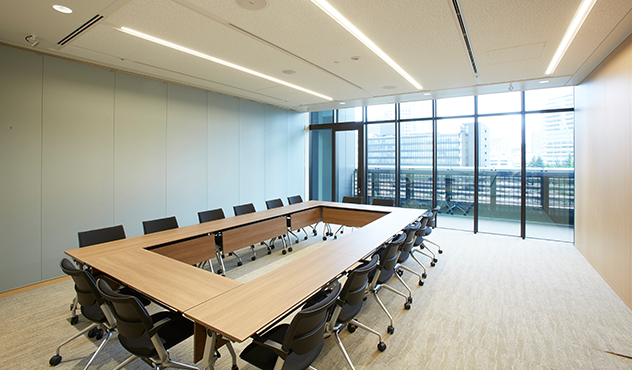 The use of roomy two-person desk and wide-seated chairs with armrests and casters create an environment that keeps participants from tiring even during long seminars.